A longterm science goal is devices to serve as the interface between researcher and body—both as a way to understand how cells talk among each other and within themselves, and eventually, as a treatment for brain or nervous system disorders by stimulating nerves to fire or limbs to move. Silicon—a versatile, biocompatible material used in both solar panels and surgical implants—is a natural choice. In a paper published April 30 in Nature Biomedical Engineering, Tian's team laid out a system of design principles for working with silicon to control biology at three levels—from individual organelles inside cells to tissues to entire limbs. 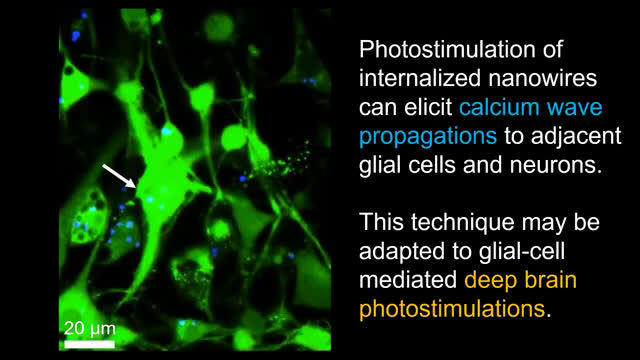 The group has demonstrated each in cells or mice models, including the first time anyone has used light to control behavior without genetic modification. "We want this to serve as a map, where you can decide which problem you would like to study and immediately find the right material and method to address it," said Tian, an assistant professor in the Department of Chemistry. The scientists' map lays out best methods to craft silicon devices depending on both the intended task and the scale—ranging from inside a cell to a whole animal. The mechanical properties of the implant are important, too. Say researchers would like to work with a larger piece of the brain, like the cortex, to control motor movement. 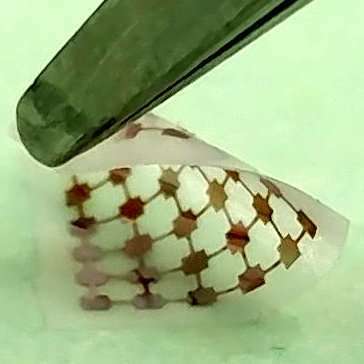 The brain is a soft, squishy substance, so they'll need a material that's similarly soft and flexible, but can bind tightly against the surface. They'd want thin and lacy silicon, say the design principles. "We don't have answers to a number of intrinsic questions about biology, such as whether individual mitochondria communicate remotely through bioelectric signals," said Yuanwen Jiang, the first author on the paper, then a graduate student at UChicago and now a postdoctoral researcher at Stanford. "This set of tools could address such questions as well as pointing the way to potential solutions for nervous system disorders."